Professor of Applied Economics. MA-ABD Econ. (University of Chicago, 1997), Ph.D Economics (University of Salamanca, 1994), MBA (University of Salamanca, 1991), LL.M.  (University of Salamanca, 1989). He is the Chairman of the Department of Applied Economics and Director of Master of Taxation Program in the University of Salamanca, where he has served as Vice-Rector for Economics and Management. He is currently an independent board member of Banco EspañaDuero. His research interests are related to Law and Economics and Public Policies, areas where he often provides consulting services to public and private organizations.